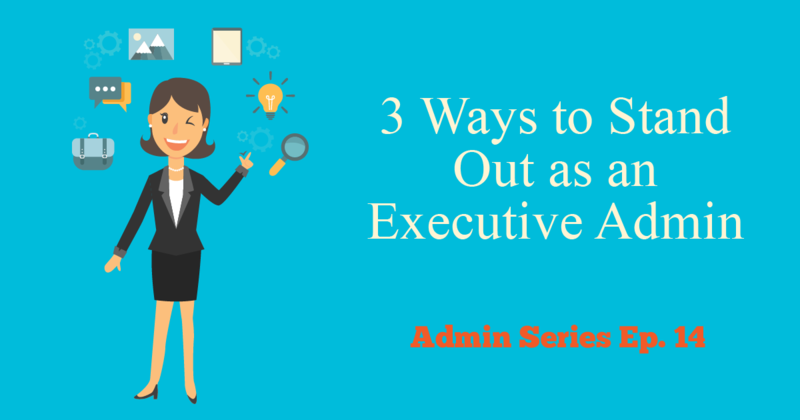 Today’s blog is one in a series on education, best practices and industry hot topics related to careers in Administration, including but not limited to those working as Executive Assistants, Admin Assistants and Office Managers. Today’s Admins handle duties that have no limits in scope and as the greater Philadelphia’s most trusted Corporate Transportation partner, Kevin Smith Transportation Group is invested in supporting those who work to make sure their companies run smoothly every day. If you want to hire your own Personal Assistant to book ground transportation, call 610-222-6225 and speak to one of Kevin Smith Transportation Group’s Corporate Concierges who can assist you with everything from Airport Transportation, Executive Black Car Service and Employee Shuttle Services. Administrative professionals are always asking us what it takes to really stand out in the workplace. After all, it’s a competitive market out there! If you really want to make a name for yourself and get ahead, it takes more than just skimming the surface. You have to dive deep within yourself to develop that “World Class” status that executives are looking for in their assistants. For those who want to shine brighter and get recognized (and rewarded) for your contributions, consider these key strategies. If you think of yourself as an assistant, that’s perfectly fine. But in order to really stand out, you need to upgrade your mental image of who you are and what you do. You must begin seeing yourself as a strategic partner, a business ally for the executive(s) you support. Learning to communicate at the executive level is absolutely essential for success and it’s extremely rare. When you have this kind of mastery, you gain a deeper level of respect. These three words are what people think when they hear Joan’s name. It’s her professional trademark, you might say. Do you know why? Because that’s who she is, and she has consciously chosen this as her personal brand. Do you have a something you are known for? Have you made the conscious choice to embody specific characteristics and traits as your brand? Or are you letting your professional reputation be shaped unintentionally? How others perceive you is such an important and underutilized tool for administrative professionals. Defining your distinct professional trademark and learning how to leverage that in the workplace will help you shape how others see you. As you can see, these skills go beyond the basics. They are strategies that only a few employ, and those who do reap the rewards. There is much to learn regarding advanced skills for assistants. To truly stand out requires a sincere dedication to your career path and an investment in your personal growth. Thank you for reading today’s blog on the Administrative Professional industry. Please visit us every week as we continue to publish tips, industry news, and strategies that directly impact every Administrative Professional.